A. 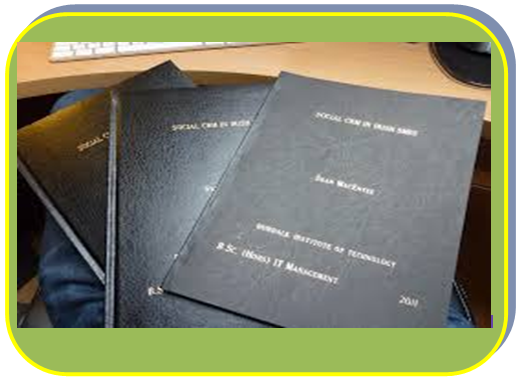 “The methods or procedures section is really the heart of the research proposal. The activities should be described with as much detail as possible, and the continuity between them should be apparent” (Wiersma, 1995, p. 409). B. Indicate the methodological steps you will take to answer every question or to test every hypothesis illustrated in the Questions/Hypotheses section. C. All research is plagued by the presence of confounding variables (the noise that covers up the information you would like to have). Confounding variables should be minimized by various kinds of controls or be estimated and taken into account by randomization processes (Guba, 1961). In the design section, indicate the variables you propose to control and how you propose to control them, experimentally or statistically, and the variables you propose to randomize, and the nature of the randomizing unit (students, grades, schools, etc.). D. Be aware of possible sources of error to which your design exposes you. You will not produce a perfect, error free design (no one can). However, you should anticipate possible sources of error and attempt to overcome them or take them into account in your analysis. Moreover, you should disclose to the reader the sources you have identified and what efforts you have made to account for them. 1. The key reason for being concerned with sampling is that of validity—the extent to which the interpretations of the results of the study follow from the study itself and the extent to which results may be generalized to other situations with other people (Shavelson, 1988). 2. Sampling is critical to external validity—the extent to which findings of a study can be generalized to people or situations other than those observed in the study. To generalize validly the findings from a sample to some defined population requires that the sample has been drawn from that population according to one of several probability sampling plans. By a probability sample is meant that the probability of inclusion in the sample of any element in the population must be given a priori. All probability samples involve the idea of random sampling at some stage (Shavelson, 1988). In experimentation, two distinct steps are involved. a. Random selection—participants to be included in the sample have been chosen at random from the same population. Define the population and indicate the sampling plan in detail. b. Random assignment—participants for the sample have been assigned at random to one of the experimental conditions. 3. Another reason for being concerned with sampling is that of internal validity—the extent to which the outcomes of a study result from the variables that were manipulated, measured, or selected rather than from other variables not systematically treated. Without probability sampling, error estimates cannot be constructed (Shavelson, 1988). 5. When a sample is drawn out of convenience (a nonprobability sample), rationale and limitations must be clearly provided. 6. If available, outline the characteristics of the sample (by gender, race/ethnicity, socioeconomic status, or other relevant group membership). 7. Detail procedures to follow to obtain informed consent and ensure anonymity and/or confidentiality. 1. Outline the instruments you propose to use (surveys, scales, interview protocols, observation grids). If instruments have previously been used, identify previous studies and findings related to reliability and validity. If instruments have not previously been used, outline procedures you will follow to develop and test their reliability and validity. In the latter case, a pilot study is nearly essential. 2. Because selection of instruments in most cases provides the operational definition of constructs, this is a crucial step in the proposal. For example, it is at this step that a literary conception such as “self-efficacy is related to school achievement” becomes “scores on the Mathematics Self-Efficacy Scale are related to Grade Point Average.” Strictly speaking, results of your study will be directly relevant only to the instrumental or operational statements (Guba, 1961). 3. Include an appendix with a copy of the instruments to be used or the interview protocol to be followed. Also include sample items in the description of the instrument. 4. For a mailed survey, identify steps to be taken in administering and following up the survey to obtain a high response rate. 1. Outline the general plan for collecting the data. This may include survey administration procedures, interview or observation procedures. Include an explicit statement covering the field controls to be employed. If appropriate, discuss how you obtained entré. 2. Provide a general outline of the time schedule you expect to follow. 1. Specify the procedures you will use, and label them accurately (e.g., ANOVA, MANCOVA, HLM, ethnography, case study, grounded theory). If coding procedures are to be used, describe in reasonable detail. If you triangulated, carefully explain how you went about it. Communicate your precise intentions and reasons for these intentions to the reader. This helps you and the reader evaluate the choices you made and procedures you followed. 2. Indicate briefly any analytic tools you will have available and expect to use (e.g., Ethnograph, NUDIST, AQUAD, SAS, SPSS, SYSTAT). 3. Provide a well thought-out rationale for your decision to use the design, methodology, and analyses you have selected. A. A limitation identifies potential weaknesses of the study. Think about your analysis, the nature of self-report, your instruments, the sample. Think about threats to internal validity that may have been impossible to avoid or minimize—explain. B. A delimitation addresses how a study will be narrowed in scope, that is, how it is bounded. This is the place to explain the things that you are not doing and why you have chosen not to do them—the literature you will not review (and why not), the population you are not studying (and why not), the methodological procedures you will not use (and why you will not use them). Limit your delimitations to the things that a reader might reasonably expect you to do but that you, for clearly explained reasons, have decided not to do. A. Indicate how your research will refine, revise, or extend existing knowledge in the area under investigation. Note that such refinements, revisions, or extensions may have either substantive, theoretical, or methodological significance. Think pragmatically (i.e., cash value). B. Most studies have two potential audiences: practitioners and professional peers. Statements relating the research to both groups are in order. C. This can be a difficult section to write. Think about implications—how results of the study may affect scholarly research, theory, practice, educational interventions, curricula, counseling, policy. D. When thinking about the significance of your study, ask yourself the following questions. 1. What will results mean to the theoretical framework that framed the study? 2. What suggestions for subsequent research arise from the findings? 3. What will the results mean to the practicing educator? 4. Will results influence programs, methods, and/or interventions? 5. Will results contribute to the solution of educational problems? 6. Will results influence educational policy decisions? 7. What will be improved or changed as a result of the proposed research? 8. How will results of the study be implemented, and what innovations will come about? A. Follow APA (2001) guidelines regarding use of references in text and in the reference list. Of course, your committee or discipline may require Chicago or MLA. B. Only references cited in the text are included in the reference list; however, exceptions can be found to this rule. For example, committees may require evidence that you are familiar with a broader spectrum of literature than that immediately relevant to your research. In such instances, the reference list may be called a bibliography. C. Some committees require that reference lists and/or bibliographies be “annotated,” which is to say that each entry be accompanied by a brief description, or an abstract. Check with your committee Chair before the fact. The need for complete documentation generally dictates the inclusion of appropriate appendixes in proposals (although this is generally not the case as regards conference proposals). The following materials are appropriate for an appendix. Consult with your committee Chair. Original scales or questionnaires. If an instrument is copyrighted, permission in writing to reproduce the instrument from the copyright holder or proof of purchase of the instrument. Sample of informed consent forms. Cover letters sent to appropriate stakeholders. Official letters of permission to conduct research. American Psychological Association (APA). (2001). Publication manual of the American Psychological Association (Fourth edition). Washington, DC: Author. Armstrong, R. L. (1974). Hypotheses: Why? When? How? Phi Delta Kappan, 54, 213-214. Creswell, J. W. (1994). Research design: Qualitative & quantitative approaches. Thousand Oaks, CA: Sage. Guba, E. G. (1961, April). Elements of a proposal. Paper presented at the UCEA meeting, Chapel Hill, NC. Fraenkel, J. R. & Wallen, N. E. (1990). How to design and evaluate research in education. New York: McGraw-Hill. Kerlinger, F. N. (1979). Behavioral research: A conceptual approach. New York: Holt, Rinehart, & Winston. Krathwohl, D. R. (1988). How to prepare a research proposal: Guidelines for funding and dissertations in the social and behavioral sciences. Syracuse, NY: Syracuse University Press. Locke, L. F., Spirduso, W. W., & Silverman, S. J. (1987). Proposals that work: A guide for planning dissertations and grant proposals (2nd ed.). Newbury Park, CA: Sage. Marshall, C., & Rossman, G. B. (1989). Designing qualitative research: Newbury Park, CA: Sage. Shavelson, R. J. (1988). Statistical reasoning for the behavioral sciences (second edition). Boston: Allyn and Bacon. Wiersma, W. (1995). Research methods in education: An introduction (Sixth edition). Boston: Allyn and Bacon. Wilkinson, A. M. (1991). The scientist’s handbook for writing papers and dissertations. Englewood Cliffs, NJ: Prentice Hall. Pajares, F. (2007). Elements of a proposal. Available from the author.